Two years ago, a group of young people who dubbed themselves the Crash Network pushed their way onto the credit union scene at CUNAs GAC conference. 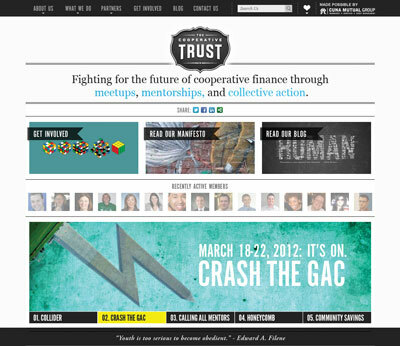 Trust.coop is designed to make it even easier for the Cooperative Trust community to collaborate and support each other. Two years ago, a group of young people who dubbed themselves the Crash Network pushed their way onto the credit union scene at CUNA’s GAC conference.